Must have – Oven, Grill, or Microwave with Grill option. Pizza base – Usually these come ready-made pack in a of 3 – personal pan size. Whole wheat is a healthier option with hardly any loss of taste. Cheese – You can get block cheese and even branded as pizza cheese, but I prefer the regular 2×2 in. cheese cubes. 2 cubes for pack of 3 personal pans. Toppings – There are lots of options. I typically use tomato, onions, corn, capsicum, zucchini. For a pack of 3 personal pans, if you are mixing 2 or more vegetables, then 1 piece of each is sufficient. Seasoning – Oregano works best. You can also include ginger powder, garlic (fresh roasted or powder), chilli flakes, basil, thyme, soy sauce, chilli sauce or any combinations. All these are available in Indian online stores. 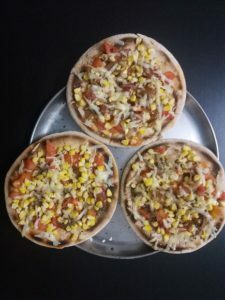 You can vary the toppings and seasonings within the set of 3 pizzas. 1. Blacken the pizza base: Using a normal tava at medium heat, you can blacken both sides of the pizza base. This first step already gives you “the look” 😉 Slice this base into 4 pieces ensuring that the cut goes through in the centre, but the edges are still stuck together a bit – like a + sign. This makes it easier to handle the whole piece. 2. Blanch the tomatoes: Heat some water until you start seeing air bubbles (almost about to boil). Then switch off the flame and just immerse the tomatoes for 5 minutes. This is called blanching – it takes out the rawness and gives a semi-cooked taste. In the case of tomatoes, blanching loosens the skin that you can optionally peel off. You can then chop into 1 cm cubes and keep aside. If you prefer, you can optionally take out the pulpy part, mash it and spread it along with ketchup (step 6). 3. 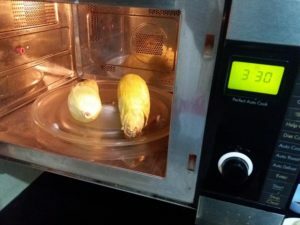 Microwave cook the corn: I learnt this trick recently … just microwave it along with the peel and it will cook! 3.5 minutes at 900W is enough for two pieces. Let it cool down, peel and remove the corn from the cob. I usually break the whole piece into 2, then use a knife to eject a full row and then you just have to pop them out one line at a time. 4. Prepare other toppings: Slice a medium to large sized onion and cook them in a skillet or tava with less than 1 teaspoon of oil – until they are slightly brown. I use extra virgin olive oil since it gives a good taste. For capsicum, you can boil a bit with very little water (the water has to dry out) and then put it on the tava had previously had the onion. But I typically cook each vegetable separately. All the steps above can actually happen in parallel. Add salt, pepper, soya sauce while preparing these as necessary – or else you can sprinkle salt directly onto the topping as well. Note that soya sauce has a salty taste and some of the cheese and seasoning may come pre-mixed with salt or spice. So take those into account. 5. Grate the cheese: The thick sized grater is good enough. Thinly grated cheese is slightly more difficult to handle. I do the grating after preparing other toppings, so that the cheese is fresh and not sticky. c) Grated cheese comes on top [the piece on the left]. You may also grate it directly onto the pizza. 7. 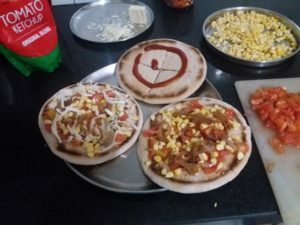 Grill cook the pizza: Load the pizza with toppings onto the microwave – the 3 pieces fit nicely onto the glass plate that I have. 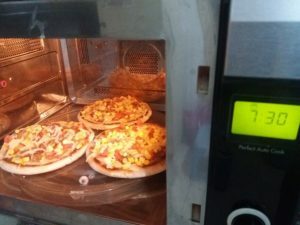 Set the microwave to Grill for 7.5 minutes. When you do this the first time, keep a watch on the cheese and the colour of the edges of the pizza base. The cheese should not boil or flow down, and the edges shouldn’t turn too dark. Adjust the timing for your microwave as per this. 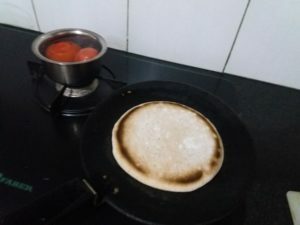 A flat steel spatula (usually used with dosa) can help in bringing out the pizza. 8. Garnish: I usually add the seasoning at this point when the pizza top is still hot. If you have basil plant at home, then fresh cut basil leaves make it awesome. 9. Re-heat the base: I noticed that sometimes the base gets a bit moist after it comes out of the microwave. So re-heating them on a medium flame tava for 30 seconds is a good idea. It also helps the heat to circulate and the seasoning gets absorbed. Ideally the edges would come out crispy – almost like a biscuit and snap off when you want to take out a slice. Howweezitt ? 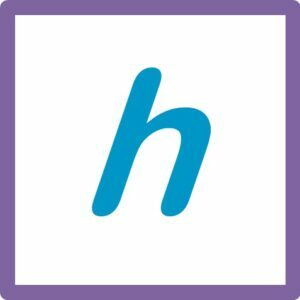 🙂 Please do comment and try out. If you choose to keep them in the fridge and consume the next day, a 30 second microwave gets them ready.